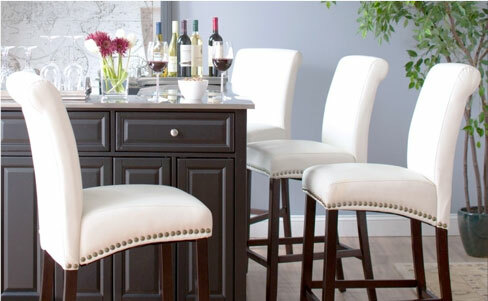 If your counter or bar stools are looking a little bit tired, worn, or outdated, why not consider reupholstering them? Maybe they are still in excellent condition but you simply want a new look. Reupholstering can be a great way to change the look with minimal expense. This is very popular for restaurants, bars, and other commercial establishments who want to update their look with minimal expense. In some cases, you can do this yourself via removing the fabric on the seat of a barstool that has an easily removable seat. In other cases, a professional does this for you. For businesses who want to ensure that their customers have comfortable and updated-looking seating, having a professional do your upholstering usually makes the most sense. At Alfa Barstools, we sell brand name barstools, we make custom barstools, and tables as well as chairs for commercial and residential customers and as such, we are also equipped to do reupholstering for our customers. 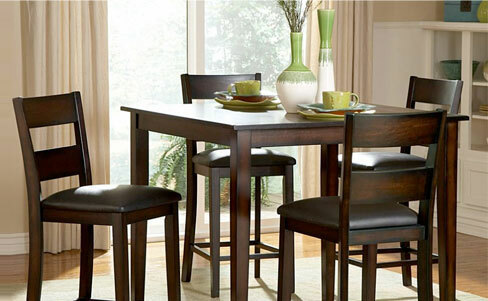 Talk to us about having your barstools shipped to our Lauderhill, FL warehouse for reupholstering. If you need other issues addressed, we can help with those issues, too, including: painting or staining, replacing certain parts (like casters and swivels or tilt mechanisms). 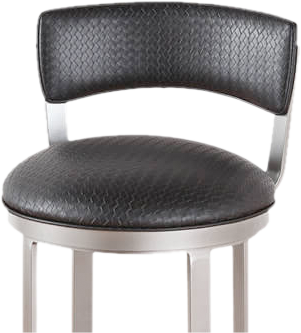 Depending on the condition of your barstool, we could have it looking like new again. Not sure if you should reupholster or buy brand new? Talk to us for tips and for a quote. If you are also considering buying new barstools, we have a great selection in many styles and materials with a myriad of features, and with discounts that can save 40 to 50% off retail pricing, it might be in your best interests to order new barstools. Whether you order new barstools or decide to update the ones you have, we make and sell the best barstools in the industry. Our brand names include: Amisco, Lisa, Trica, Tobias, Matrix Imports, Douglas, and more. We have been in business since 1992. Our Lauderhill, FL warehouse is no longer open to the public, but you can make an appointment if you’d like to meet with us to discuss reupholstering your barstools or having custom made barstools created just for you. We have a great reputation for quality, value, affordability, and customer service for our commercial and residential customers alike and we look forward to helping you.